Modern homes seem to be getting smaller, and as a result, the comfortable living space, storage and even outdoor areas of the home are being reduced. But, that doesn’t mean that your home cannot look amazing and attractive despite its size. In this Ideabook, we look at getting more out of your home through some smart tricks and space saving methods. 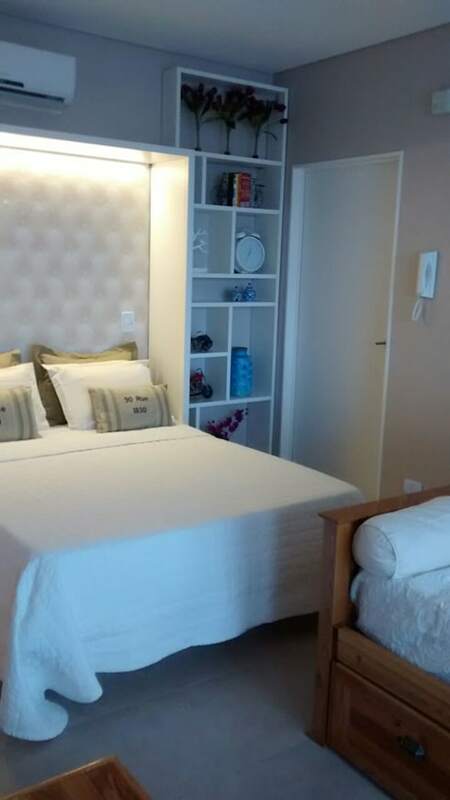 Your home will be much more comfortable, while looking neat and tidy in the process. So, let’s get started to making your home look fantastic with these easy tricks. A sofa bed is an old fashioned way to getting your home looking tidier and uncluttered. Used as a comfortable sofa throughout the day, the sofa bed can quickly and easily be converted into a stylish extra sleeping space, for those unexpected guests, or perfect for that friend that’s always crashing at your place. 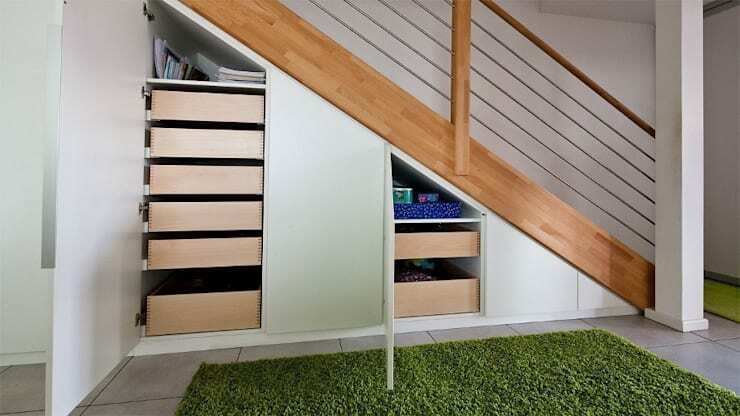 If you are in need of some storage in your double storey home, then you may want to consider some practical shelves and drawers for all those extra items. This is perfect for keeping winter coats, boots and your umbrella out of sight, while making use of the space already available, you may want to contact a professional carpenter to get storage suited for your interior. Before you go ahead and purchase some bulky storage furniture, you may want to consider a built-in approach. Look at the height of the ceiling, wouldn’t some fitted shelving make the perfect spot for your ornaments, maybe even clothing or accessories or other objects of daily use? It would be great to be able to move your storage from room to room, allowing you to use one side table to serve a snack, tea or even dinner at a comfortable height. If your home is already small, then why would you want more than one side table taking up space? In a small home, there needs to be great consideration as to where to place appliances, and in a compact bathroom, the last thing you want is a washing machine that’s in the way. 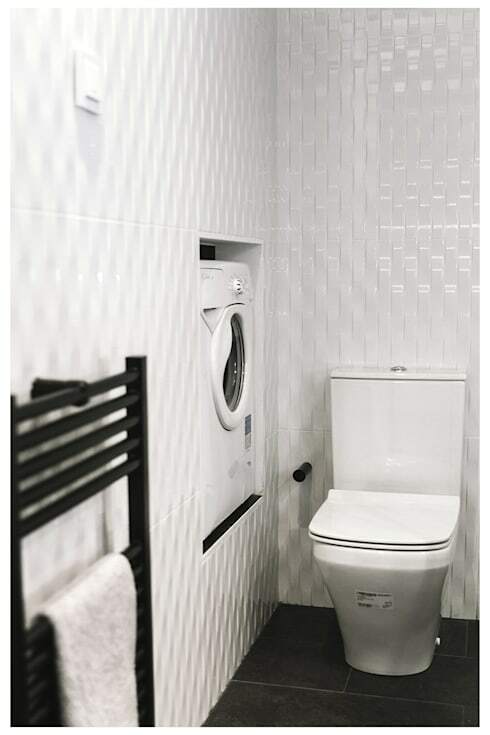 Consider creating space for your washing machine by embedding it within a wall. This bedroom décor is so sleek, elegant and minimalist. The built-in wardrobe that is perfectly fitted against the wall, optimises storage, while allowing the bedroom to seem larger too and uncluttered. It is necessary to have a look at the material and colour choice of the cabinets, and consider an option that blends in with the rest of the style. If your living room is in need of space, then these drawers for your side table is a great way to keep all your items out of sight, while creating the illusion of space in the home. 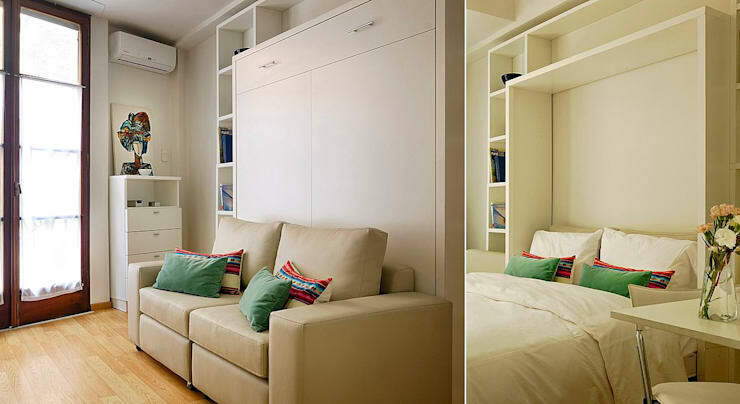 Raising the height of your bed is an amazing storage solution idea for a smaller bedroom. This will allow your clothing to be easily accessible, while keeping the bedroom free of clutter too. Think of it as a mezzanine in your bedroom. These 10 small homes with beautiful coloured walls are just inspirational! 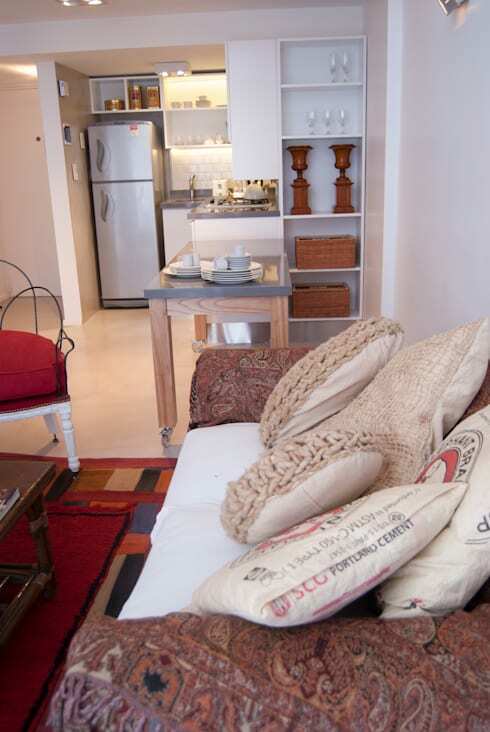 How do you save space in your small home?